The site is located at the edge of the Bell Street and Melville Road Neighbourhood Centre, approximately 8km north of the Melbourne CBD. The building, designed by Bayley Ward Architects, responds to the abutting low-scale residential hinterland while providing a benchmark and catalyst for future new mixed use development in the centre. 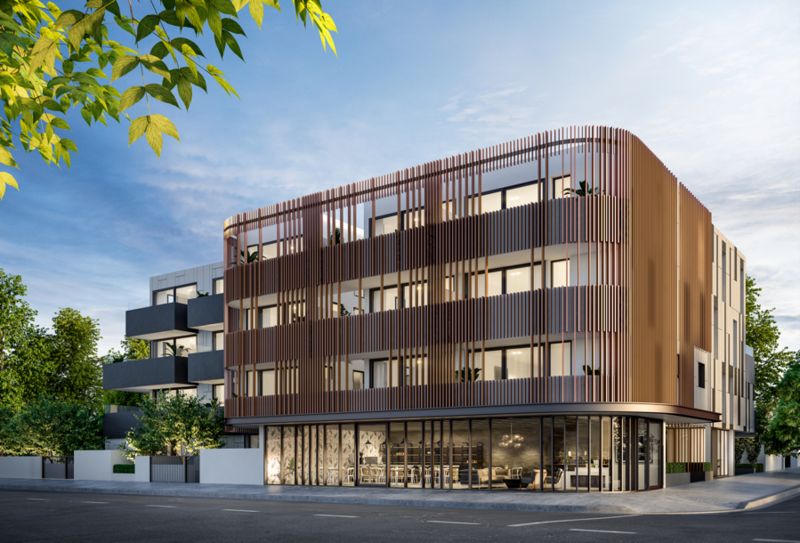 The planning permit, issued by Moreland City Council, provides for two retail stores at ground floor, 32 apartments over four storeys, including a mix of one, two and three bedroom apartments, car parking for 44 cars and a bicycle space for each apartment. Pre-application meeting with Moreland City Council. Presenting at public consultation and Council meetings.